Japan’s most oldest and most experienced manufacturer puts the complete HBM package together. All the major components are cast from the highest grade of iron, designed as a one-piece bed with the rational-rib approach and overly heavy walls and wide box ways, hardened and then hand-scraped or machined to perfection. The Nomura spindle goes through a six month, twenty-step process. In the end, it has the ideal hardness and finish, and is 300% straighter than even the Japanese Industrial Standards ( JIS ) allow. 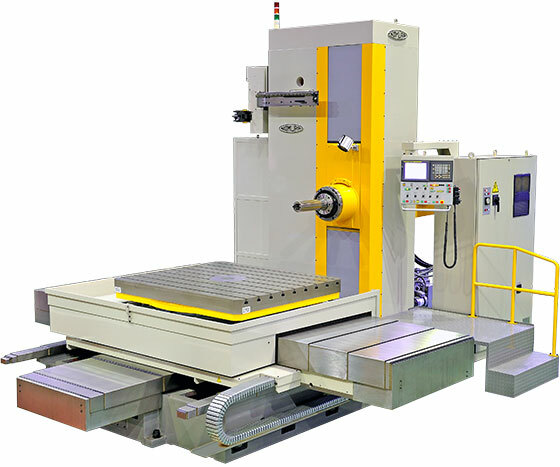 The Fanuc controller and oversized servo motors, ballscrews, bearings, gears, and all the internal components meet the highest levels of the JIS quality requirements. A full array of optional accessories such as enlarged ATC magazines, facing and contouring heads, secondary rotary tables, and Probes, etc. are available.